Helen joined Accenture in May 2016 as relationship lead for a key UK Financial Services client. 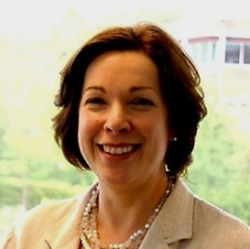 Prior to Accenture, Helen developed her career over a number of years at IBM. Her other senior leadership roles have included Sales Director for the IBM UK Retail Business and General Manager of the Printing Product Division across a number of geographies including UK, Ireland and South Africa. At IBM, Helen was executive sponsor for the People With Disabilities Diversity group and a member of the IBM Diversity Council for IBM UK, with a major focus in the last two years on mental health in the workplace. Helen is married to Nick and has two girls.